Boondocking what is it boondocking involves camping in a remote area away from most human activities. 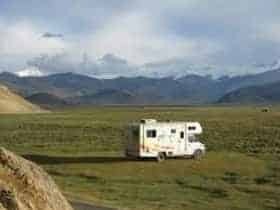 Boondocking is mainly camping without hookups such as water, electricity or sewer others call it “dry camping.” Individuals who prefer to boondock rather than go camping want to spend time by themselves in a quiet, safe environment. Campgrounds can be crowded and noisy. Also, it requires you to spend a few dollars for the time; one plans to stay there. So do you like traveling around the country, but you don’t want to pay the fees associated with camping? Well, what are you waiting for let’s hit the road, enjoy ourselves and do some boondocking? People who spend a night in a parking lot or alongside a road are also said to be boondocking. To get away from cities which are always crowded and noisy and sometimes be alone enjoying nature. Money, there are some individuals that love traveling around and enjoying nature. But they don’t want to spend money on camping sites, find themselves boondocking to save money. There are some individuals who do both; free camping and the paying camping. At some point, one may want a silent, and lonely place to camp by themselves. Then there are other times they want to spend time with others chatting and enjoying each others company. Circumstances such as having a car failure in the middle of nowhere. Or maybe having driven for long hours and need a rest before continuing the journey. Legitimately recognized areas specifically for boondocking. Illegal but well known, and they are used by many without having any security or any issues. Unauthorized but the authority grants one special permission. Unofficial in which that you may park at your own risk. A restricted area where people park at their own risk of fines or worse. The most recommended area is an officially recognized area and unofficial but well known and used by many people. Examples of such areas include the Walmart parking lots, Kmarts and other stops that have large parking areas. It is crucial that you get authorization even if you are sure that it is okay to park there. Ensure you arrive late and leave very early. In case it is a private business to ensure its only one night. Only park where the owner has directed you to keep off the way of customers. Ensure you spend some money purchasing items from that business as a sign of gratitude. What Is Needed To Boondock? Water is vital, and one needs to carry it and use it sparingly. The RVs come with different tank sizes depending on the size of your RV. The smaller the tanks re means the less time that you can spend boondocking. To help you lower your water usage, here are some things you may consider doing. Avoid washing dishes with the use of disposable plates. Cook your food outside so you don’t have have to clean the kitchen Rv space. To keep yourselves out of the dark remember most of the areas are remote and have no electricity. With these two items, you can charge your batteries or even run your microwave. Solar is now available in many different sizes to suit your needs, and they are also portable. You just have to hope that the sun shines, enjoy nature and let the sun do the work for you. Caution; when purchasing a generator make sure that it is quiet, some are very noisy. 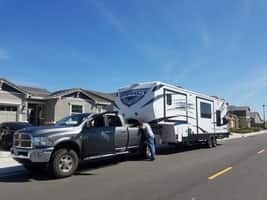 If you are boondocking near others, it will be very annoying. Remember the generator requires fuel so remember to carry some extra fuel for it. Also, the size of the generator you need will depend on your usage. If you use your generator for air conditioning then you need the larger one which is noisy. The generator will also charge your battery bank ensuring you do not run out of power. In your RV does not have LED light bulbs, you should switch them out to LEDs. By changing to this style of bulb it will ensure lower power usage. Thus, allowing you to keep your power on longer without having to worry about anything. Also, you may consider buying solar chargers for your computer or cell phones. So you can stay connected without having to use the battery energy for lighting and other usages. Now that you are packed and ready to set off for your adventure, where are you going? Now let’s look a few available options for you. The National Forest Service offers a lot of boondocking and camping opportunities. You should contact them and let them know the length of your stay and the number involved for security purposes. Before the actual day, you should survey the area to ensure it fits your needs. Most of the National Forest Service will allow you to stay for up to fourteen days. You need to carry your garbage with you and leave no trace of your stay. At some places, they may require that you pay a fee so be sure to inquire in advance. There are also several websites that will show you the free campsites, which can help you locate a boondocking spot. Also, you may consider reading blogs of people who boondock to get an idea of where they go and their experience. Most rest areas only allow parking for about twelve hours. So you want to be sure of the rules of the state or city you are visiting. Some will even allow you to pull your car alongside the road, while others do not. Be sure to carry your bedding, clothes and enough food and water for a few days these are very important. With all of these things, you can at least last for a few days or even a couple of weeks. Security; ensure that the area you choose for your vacation is secure enough from robbers or wild animals. If you are near a big city where the crime rate is high, try not to park there for your own protection. Make sure before settling in a specific location make sure that you have permission to park there. 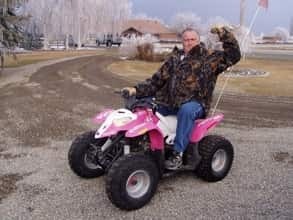 Obeying the law will give you peace of mind and make sure you have a great time. In case you consider parking on private property be sure to ask for permission from the owner or the manager. Free camping is not illegal as long as you observe certain rules. One should make sure to camp only in the areas that are allowed by the law. Also, get permission from the property owner. Avoid littering around or leaving traces of your presence in a particular area. Water is a necessity, and one cannot do without. So, it is important to consider when purchasing an RV that it has enough fresh water tank holding capacity. When you deplete your drinking water it will limit your free camping time. Hence the more extensive the tank, the longer you stay camping. You may also be forced to look for a water source like a river a freshwater lake. Also, you should consider carrying with you extra bottled water for drinking. Thus, ensuring that the tank water is for other use other than for drinking. Having drinking water separate will reduce water wastage and meet your needs up to the last day of boondocking. Thus, the chosen RV should be large enough to host your bottled water. If the tank is large and you have bottled water the longer, you can stay in the boonies. The black water tank collects the sewage from the toilet. If it gets full, you will have to leave and try to find a dumping station to get rid of it. Thus, the RV should be equipped with a large black tank to hold the waste for all the days you plan to stay camping. If it gets full avoid disposing it on public land as it is illegal. However, in most cases, you will probably run out of fresh water long before the black tank gets full. The gray tank is for holding water from the shower or has been used for dishwashing. Some areas will allow you to dump the gray water tank while others do not allow. If you camp where it is illegal to dump the gray water tank. Then when it gets full you have no reason to continue staying there so you might as well move. You may be forced to look for a dumping site. However, if it is legal to dispose of the gray tank, then you may have more days to camp. Then you can dispose of your waste as per the rules of that area. The size of your fridge can also determine the number of days that you spend in the boonies. The larger the fridge, the longer you are likely to spend in the boonies. Reducing the need to visit the grocery which in most cases is better for you. 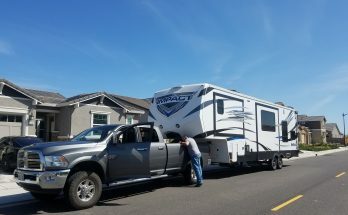 Thus it is important to consider the size of the fridge when you are purchasing the RV. In fact, the freezer cannot hold a lot of food so you might want to consider a cooler. You are likely to spend a few days camping and one cannot stay long without eating. Most of the time people always forget to consider where they will keep their dirty clothes. Considering that each day you will be needing to change into clean clothes after your navy shower. it is also important to have enough space to keep all of your dirty clothes. Also, you would not want to run out of the clean ones either. When purchasing an RV make sure it has enough space to hold all your dirty and clean clothes. Otherwise, your camping trip may come to an end abruptly. You may have to move and look for a place where you can fetch water for washing your clothes. It is critical to be sure that you have enough battery power for your RV. Otherwise, if you don’t have a generator you may be forced to get out of the boonies and look for a charger. When purchasing your RV it is very essential to consider the size of the power bank that comes with it. The larger the size of your power bank the fewer the number of times that you need to recharge your batteries. Also, it will ensure that your lighting stays on all day and night. Pre-wash your fruits and vegetables just before you leave for your adventure. By ensuring that whatever you carry is clean and washed the better is for you. This increases the chances of staying as it reduces the water usage which is a critical element. By using disposable plates this reduces the need to wash them and which saves water. 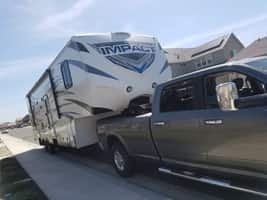 Make sure you keep a reasonable distance while parking your RV from others to avoid invading their privacy. You may also consider preparing your meals before you leave to minimize the amount of your energy usage. If you love nature and like to travel around and spend as little money as is possible. Then here is your opportunity to try dry camping. Where we enjoy ourselves so we can save some cash for other things. If you love adventure, what are you waiting for let’s get with boondocking? Next Article Boondocking Vista Point at Golden Gate Bridge Ca.